I know you are wondering what a concretion is and if there are any here in the Finger Lakes. A few months ago, I promised that I would visit the 3 New York State Parks in Cayuga County and now I am reporting on the second one. 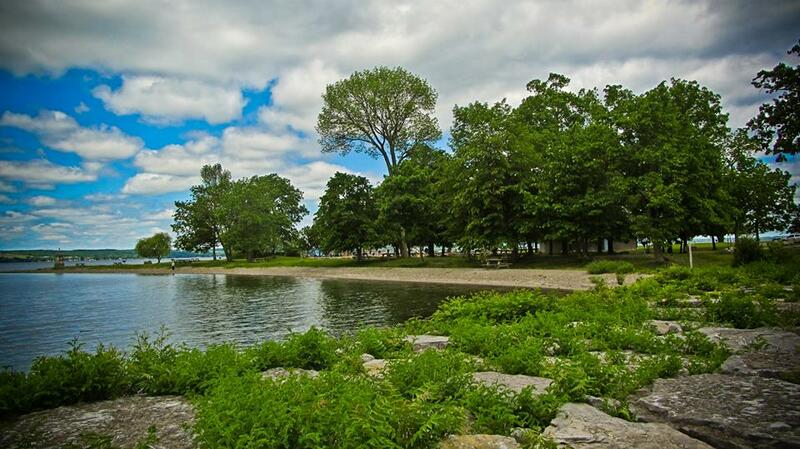 Long Point located at 2063 Lake Road, Aurora is situated on a spit of land just below Aurora. While at the park, you are close to Wells College, many wineries including Long Point Winery, the lovely village of Aurora and, of course, Mackenzie-Childs. Lydia and I enjoyed our rec ent Sunday afternoon ride traveling south on Rte. 90 cruising along the lake shore. We stopped for ice cream at Pete’s Treats; a lecture on local gardening and farming innovations from 1855 – 1880 at the Frontenac Historical Safety; and then on to Long Point Park. Long Point is open year around, but the road into the park can be drifted in the winter months. It is still a quiet spot to enjoy in all weather and offers a good view up and down Cayuga Lake. The entrance fee is $7 per car. It is considered a day-use park although there is a small cottage for rent offering room for 4 with a full-bath, wood stove, electric stove and many other amenities. One registers for it on the NYS Park website. Do it now for next summer. You can walk the shore picking up lake glass or some very special stones; send the kids over to the playground; launch your boat in the small “safe” harbor and use the temporary dock; have a picnic at one of the tables and use the grills; and play a game of baseball in the open area. There are plenty of shade trees for reading or nap time. There is also a bathroom which we found to be clean and nice. One very interesting item about the park is the abundance of what are called Odin stones or Fairies or Witch stones or, in geological terminology, concretions. I have had a good time learning more about these strange stones. They appear around the world; in places with shale, siltstone or sandstone like the Finger Lakes region; where glaciers formed the land mass; can range in size; and always have a hole through them. 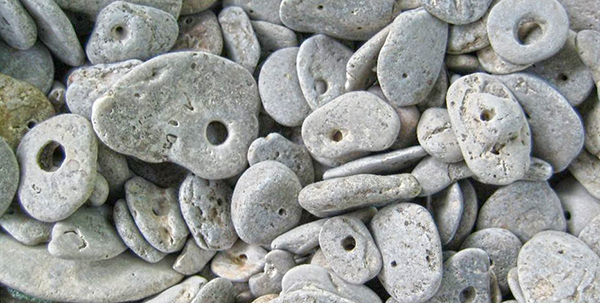 There is gr eat speculation about how the holes happened, but scientists say it was during the formation of the stone that a small organic item – a stick or tiny creature - was imbedded and over the millennium as that item disintegrated, the hole was left. The stones are also tumbled and smoothed through time. Treasured by ancient peoples, there is a belief that if one looks through the hole, one will see beings not visual to the physical eye – perhaps a witch or fairy even. No two are alike. Sleep with one under your pillow and you will not have nightmares. The story is the Odin changed into a worm and slipped through a stone to escape death – thus the hole and that one name. Long Point State Park is a real treasure for an afternoon of relaxation or even bird watching on the shore of Cayuga Lake. Large flocks of migrating waterfowl pass through and stop in the spring and fall to socialize and feed. 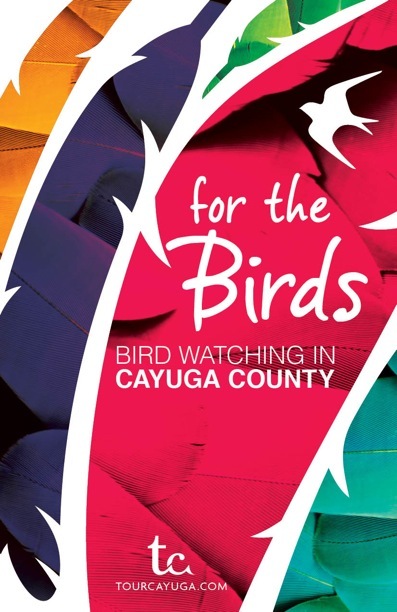 If you want a Birding Watching Guide to Cayuga County be sure to call their office at 800-499-9615 to request your copy today This guide will give you all of the great birding hot spots throughout Cayuga County.